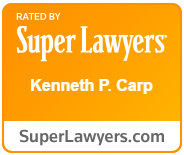 At the Law Office of Kenneth P. Carp, we are an exceptional resource for HR managers. Our knowledge of unemployment law coupled with our Continuity of Care program has made us the go-to resource for HR professionals. Our social media program, including blogs, tweets and LinkedIn, provide a source of current information for employers and a forum for HR professionals to share experiences and questions. Kenneth Carp acts as general counsel (lead attorney) for a range of companies. His readily accessible and affordable counsel makes him the perfect choice for small rural companies as well as corporations with 125 tractor-trailers on the roads throughout the United States. As general counsel,Kenneth Carp is known as a problem solver. Mick McCoy of AllStar Transportation, Inc., sums it up as follows: “Tell Ken where you want to end up and he’ll find you the most affordable and simplest route.” Call us and discuss the various ways we can work with you. Whether as a speaker or as your attorney, we can help you better achieve your goals by working with you affordably and conscientiously.